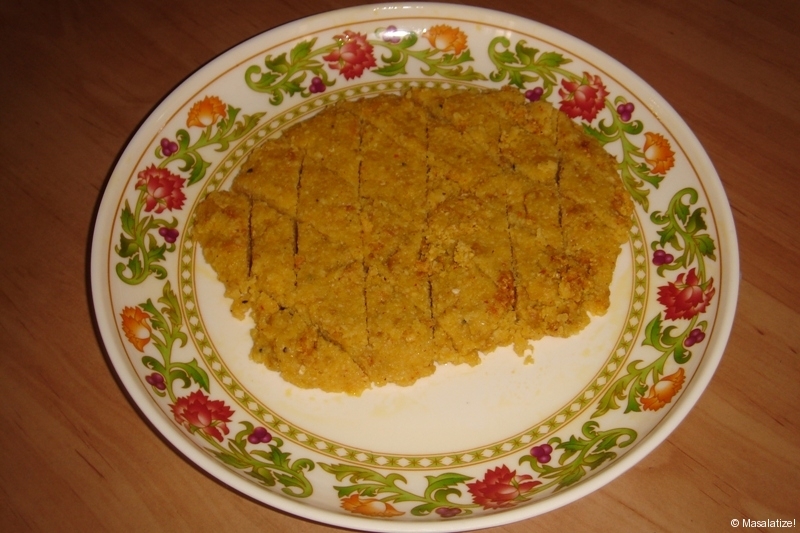 This is the spicy recipe made of lentil. Wash and soak Chana Dal. Drain water and grind in a mixer . Add water, salt and sugar in the above mixture. 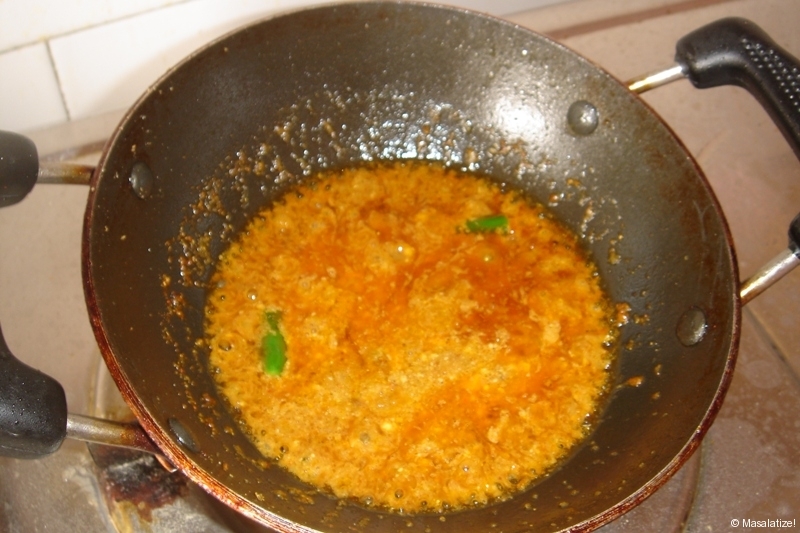 Heat oil in pan.Pour the chana dal and cook till soft but not fully dried. 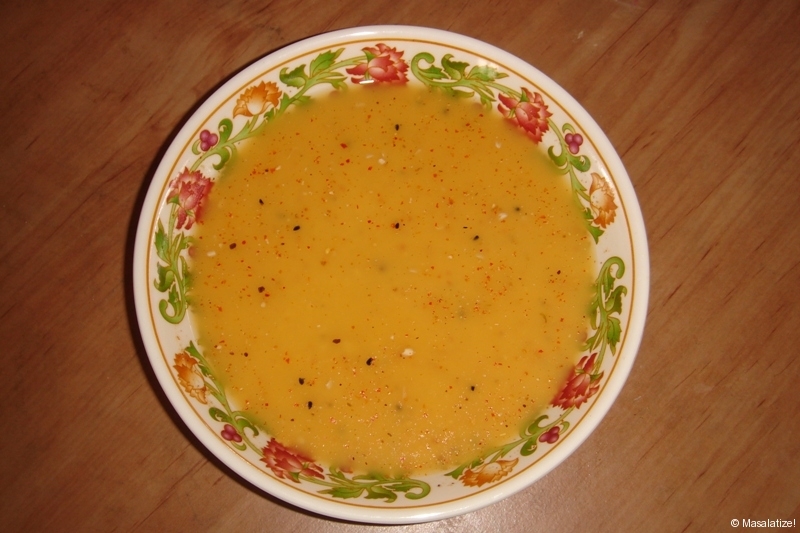 Smear oil in a dish. 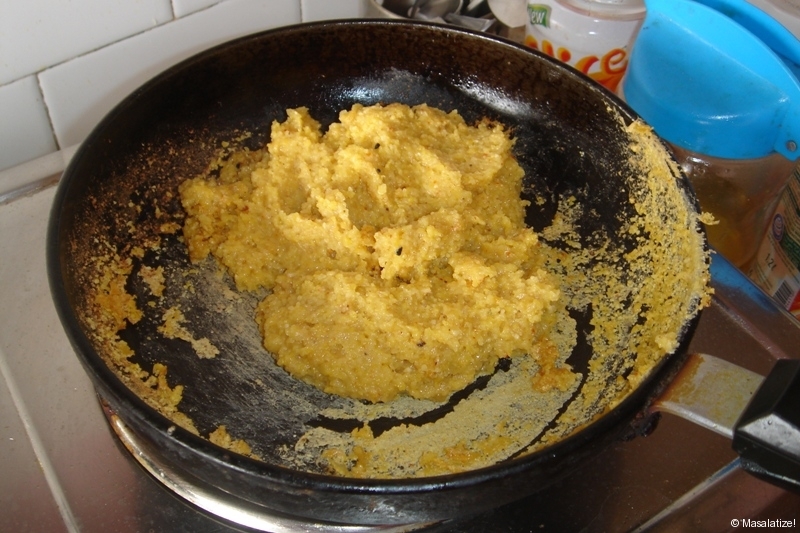 Pour the cooked dal and spread evenly on the dish. Press lightly. 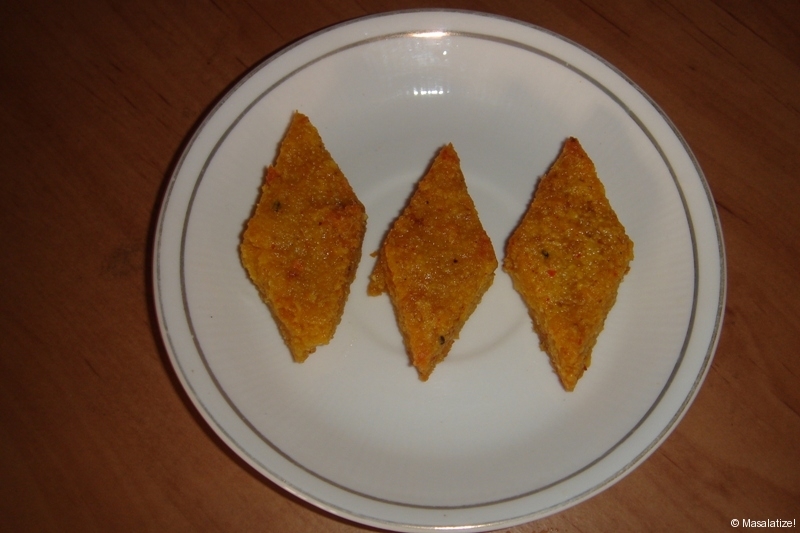 Cool and cut the dhoka into cubes of one inch. 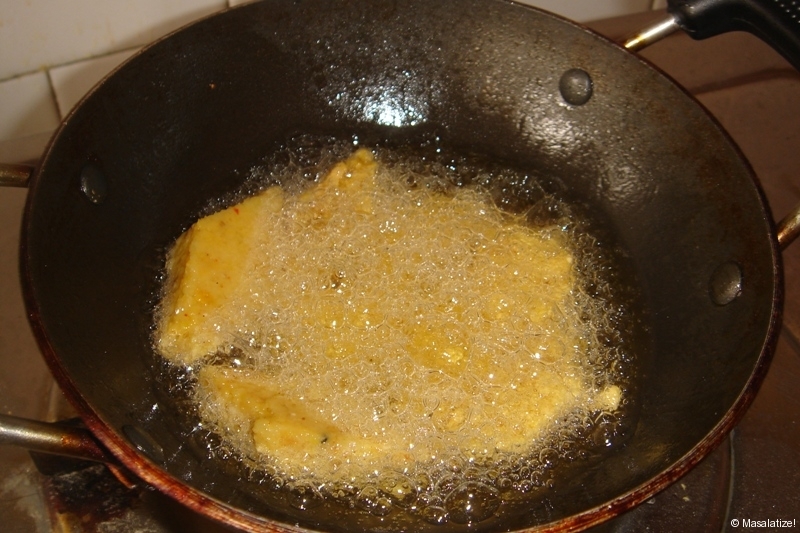 Heat oil and fry the dhokas to light brown. 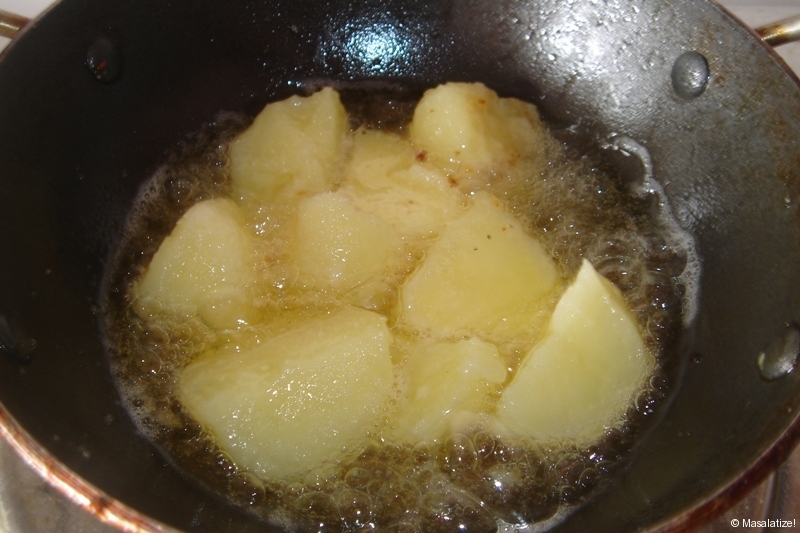 In same pan fry the potatoes. 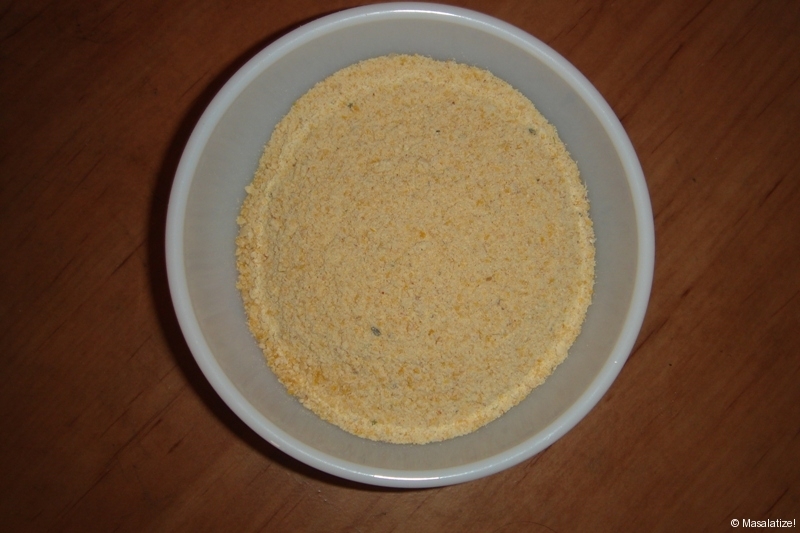 Fry till light brown. Keep aside. Add green chilly and ginger garlic paste. Fry for a minute till it stops spluttering. Add all the spices. Fry in medium heat for 5 to 10 minutes adding little water as required to prevent sticking.Pour small pieces of tomatoes.Once the oil starts coming out, add two cups of water. 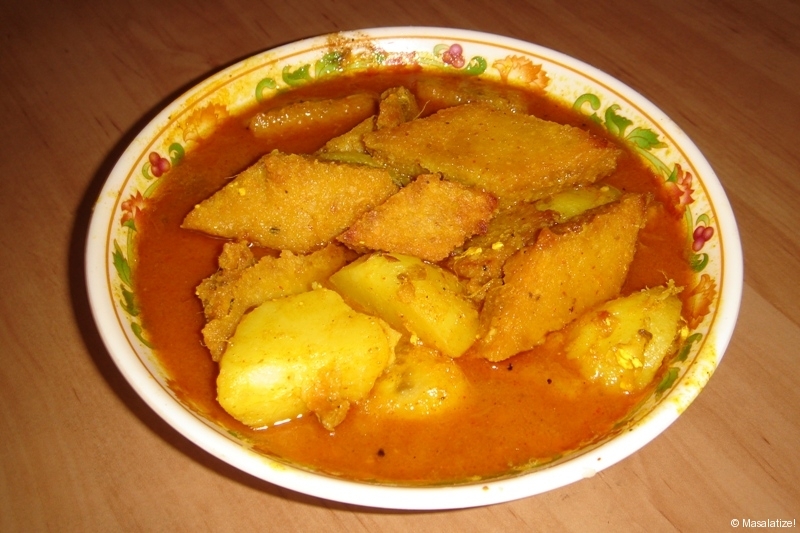 Add the fried dhokas, and potatoes. Bring to boil. Reduce heat and simmer for ten minutes. It takes time to prepare this recipe but tastes really good. 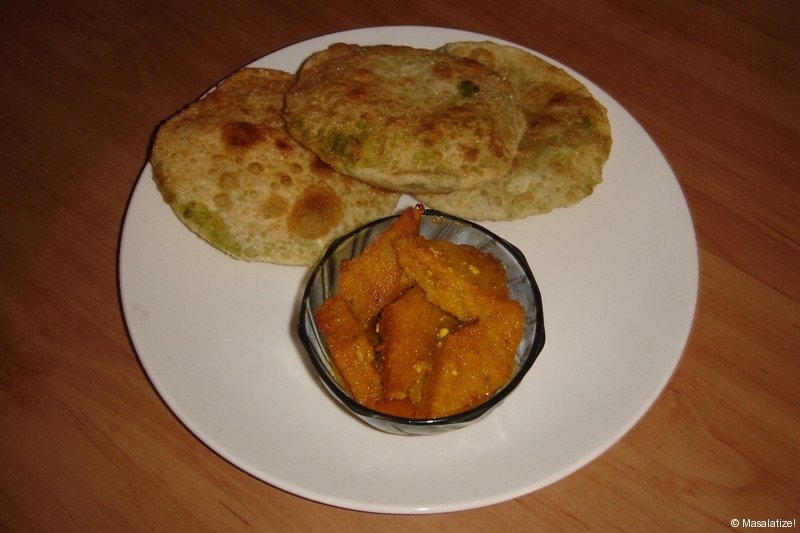 Please check out my youtube channel http://www.youtube.com/user/bengalirecipes for recipe videos.